When The Mindy Project first started showing in England I didn't give it much of a chance I already had Breaking Bad and Grey's Anatomy and New Girl I didn't need another but I caught it a couple times on the weekends and now I am hooked! 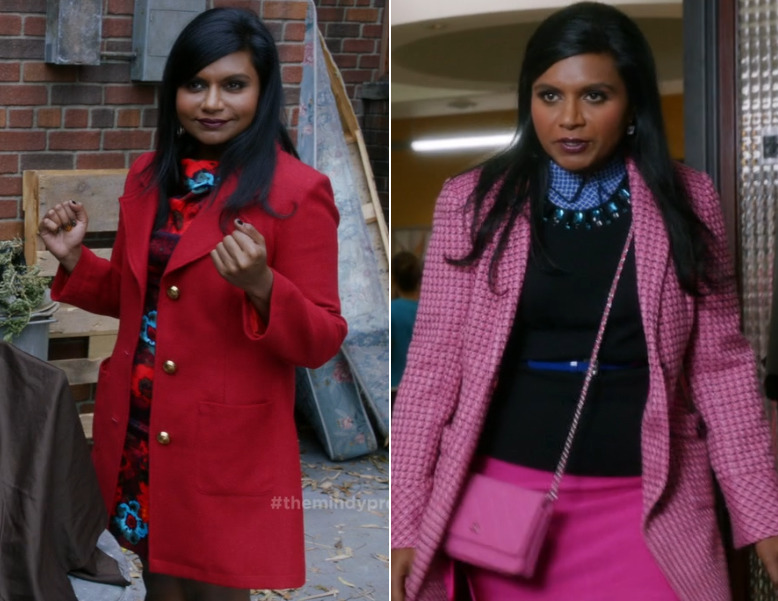 I love the sense of humour, I love Mindy Kaling the female lead, I love her outfits, I love all the random dates and weirdness that goes on in the office. And... stop reading now if you haven't watched all the ones that have aired in America. Mindy and Danny finally kissed!!! I love those moments that make you gasp and squeak at the same time and this was definitely one of them, he totally went for it! I still wish they had drawn out the break up with Casey a bit, it didn't make any sense to me she broke up with him over wanting to change career again even though she went to Haiti for him and was about to get married to him but whatever her and Danny are much more fun to watch. Now I just have to wait till April 1st to see if they are going to try and be something or if they are going to be written away and she is going back with Cliff. The suspense!